California Fertility Partners are fertility doctors near Beverly Hills, California (CA) that offer the most advanced reproductive health care available. With over thirty years experience in both research and clinical practice, their unparalleled expertise has produced extraordinary results. 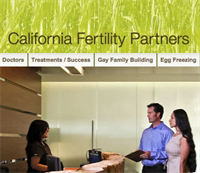 Those who are struggling with infertility in Beverly Hills, California (CA) can visit California Fertility Partners and have all their needs met in one place. The facility conveniently houses clinical offices, laboratory facilities and a surgical suite, allowing patients to fulfill all their needs at one location. They also specialize in gay and lesbian family building, and have helped individuals from all over the world conceive through assisted reproductive procedures. Those in need of a reproductive endocrinologist in Beverly Hills, California (CA) should call or visit California Fertility Partners at 11818 Wilshire Boulevard, Suite 300, Los Angeles, CA 90025. They are happy to welcome new patients and give them the best fertility care possible. Certification Board certified in Obstetrics and Gynecology, Reproductive Endocrinology and Infertility. Services The internationally recognized physicians at California Fertility Partners are adept at handling a wide array of fertility issues. They perform In Vitro Fertilization, Intrauterine Insemination (IUI), Intracytoplasmic Sperm Injection (ICSI), Egg Donation, Gestational Surrogacy, and Reproductive Surgery in Beverly Hills, California (CA). These fertility doctors in Beverly Hills, California (CA) can also correct congenital anomalies as well as use laparoscopy for treatment of endometriosis and pelvic adhesions. Couples or individuals seeking a reproductive endocrinologist in Beverly Hills, California (CA) should contact California Fertility Partners and schedule a consultation today. 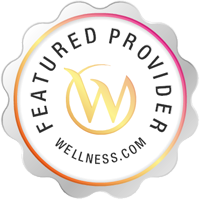 We are pleased to feature California Fertility Partners on Wellness.com. Thank you for visiting and please leave a review as well!